This tour gives you the chance to try deep sea fishing or exercise your patience and strength while waiting for the big catch! We do trolling fishing as well as bottom fishing. Fishing by trolling is moving boats drag one or more fishing lines or nets behind them to provide a more realistic and lifelike target as bait. Especially in the morning hours, trolling is highly successful. Your guide will be there to assist you with your catch. You can catch Grouper, Snapper Emperor and Bonefish near the coast. A little further away there is a good chance to catch Indian mackerel, Spanish mackerel, Seerfish, Kingfish, Barracuda, Barramundi, Jackfish, Trevally and Tuna. The season in Trincomalee is from Mid February to October. 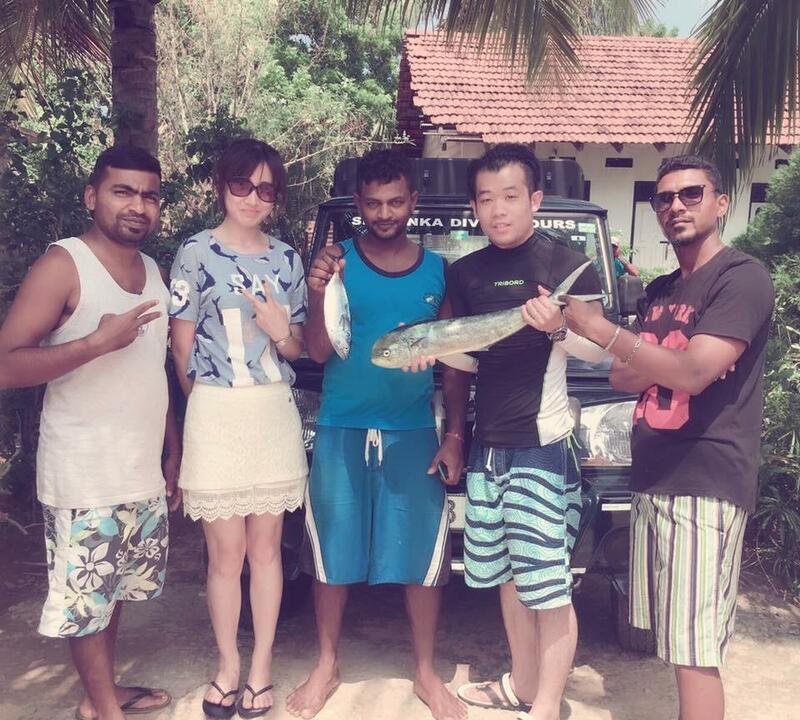 In Negombo you can go fishing from Mid October to April. 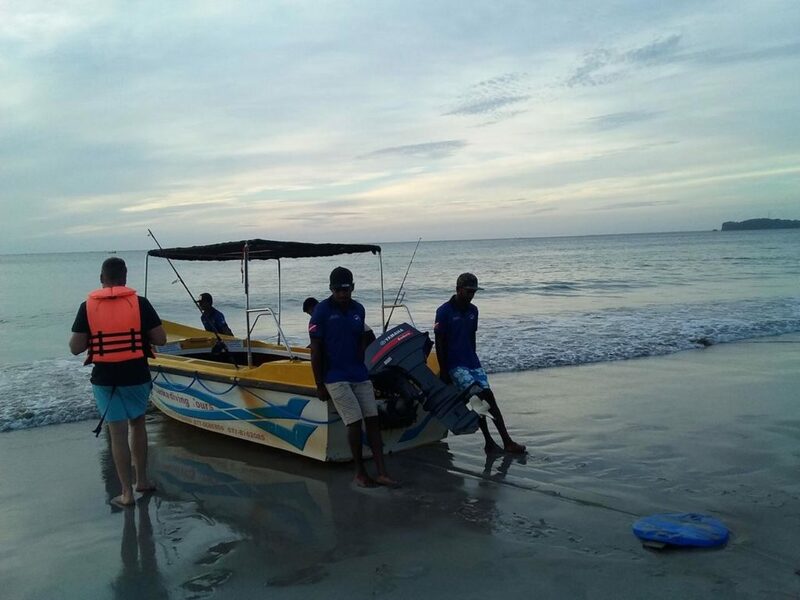 Meet the team at the Dive Center at 5:45 am and get ready to take the boat at 6:00 am just in front of the beach. We travel about 15 km out and will be back around 9:30 am. Tour is also available in the afternoon.